Publisher Dark Horse did a wonderful job with this translation of the Japanese edition ハイラル・ヒストリア ゼルダの伝説 大全: 任天堂公式ガイドブック. The cover design is different from the Japanese one but the book here is bigger, which is great because some of the annotated text are quite small to read. It has a nice thick hardcover with 280 thick pages. The production quality is top notch. I remember the Japanese edition going out of stock quickly when it first came out — it's still out of stock now. Same thing happened with the English edition, but it's still in stock. At one time, it was even the #1 best selling book on Amazon across all categories! It now has over 800 favourable reviews on Amazon. The fan base is enormous and incredible. The book is split roughly into four parts. The first looks at the concept art for The Legend of Zelda: Skyward Sword, then the history of Hyrule, next the concept art for all the Zelda series and finally a 32-page Skyward Sword comic by Akira Himekawa. There are lots of character designs and accompanying notes. There are so many that you really have to have played through all the games to recognise them. Also included are discarded characters, dungeon design sketches, creatures and other props. There aren't much background art. The newer games have more content while the old Nintendo ones much less. It will take a while to go through them all and peruse all the little details. The middle section on the history of Hyrule should be quite enlightening for Zelda fans. You'll see how the stories come together when each game features a different era. The timeline is chronological order and sometimes even splits. This history is probably what the fans have been waiting for. 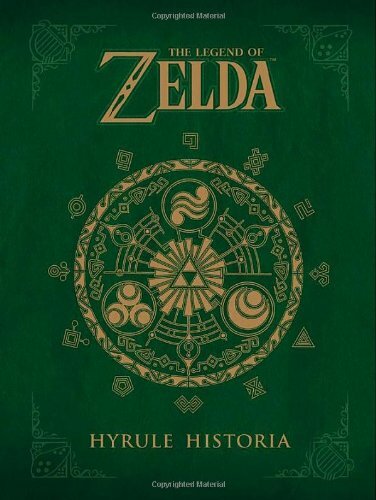 This is an amazing book for all Zelda fans.